Regular Reiki practice is essential for all practitioners. It is easy to get caught up in the days events to forget regular reiki practice. Now, when the days are still long it is important to make time for a reiki treatment. Even when one is on holidays...reiki is important. My next reiki project is some art for my reiki room. I will be working on this project this weekend. If the results are successful then, I will share on the blog...if my painting turns into a blob..then, perhaps I will share this also. 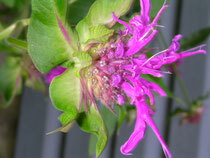 The bee balm in the garden is doing well now. I moved it in the spring and it transplanted very well. I look forward to spending time in the garden and seeing how things progress. 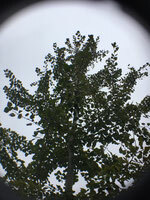 Photos are a great way to track the changes in the garden.